Greetings from Montgomery, Vermont ! Spring is a time of convergence. The last of the winter’s snow is slowly melting from the mountain tops as the daffodils are starting to come out of the ground in the valleys below. Steady breezes from the North haven’t deterred migrating songbirds from returning. But the cold air has made for a sugaring season that was late to start and is only now finishing. Muddy roads are becoming passable after one of the worst mud seasons in recent years. Sunny skies illuminate the mineral-rich teal blue water rushing over the Trout River Falls as broad-wing hawks soar over greening pastures. Male bluebirds have arrived and are claiming their breeding territory. Wood frogs and brook trout have become active as the ice has now left their ponds. Great blue herons and King fishers will be here soon. So much is happening in nature in Spring and it all comes at a fast pace. Some of the beauty is fleeting – ephemeral – and if we take these days for granted, we can miss it. Make the time to get out and watch, hear and smell the changes that are taking place. You’ll be richly rewarded. Spring is when we receive calls from teachers wanting to schedule a field trip for their classes; when we hear from parents who want to enroll their children in summer camp; and when we ready trails for hikers who come from everywhere to enjoy the beauty of our area. It’s also a time when we look forward to our members’ renewing their support of the Hazen’s Notch Association. Thank you for helping to make last year a good year for the HNA. We hope to see you at Hazen’s Notch in the days ahead. In Summer the HNA maintains 15 miles of trails and woods roads for hiking. 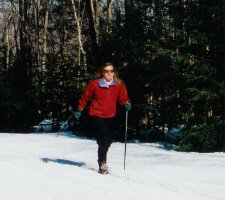 These are part of a larger network of trails that are maintained in Winter for cross country skiing & snowshoeing. The HNA maintains 3 trail access points that are open in Summer and Fall. These are the Bear Paw Pond nature preserve, the HNA Welcome Center and the High Ponds Farm. All of the HNA trails are on private land. We are grateful to our cooperating landowners for their generosity in allowing the public limited access to their land. Help the HNA to ensure future permission for trails by observing all rules posted on signs at trail access areas and along the trails. Thank you. For complete information, trail map and current trail conditions, see the HNA website: Hiking Trails. The Burnt Mountain Trail is being closed between Window Rock and the summit of Burnt Mountain. The steep section of the trail above Window Rock has become eroded from hiker use and several wet summers. Hikers seeking the summit will be redirected to a new trail that ascends the east/west running ridge that connects the summit of Burnt Mountain with a woods road behind the High Meadow. New signs will redirect hikers away from the old trail and towards the new trail. An updated summer trail map will be available at all 3 trail access points and on the HNA website. Volunteers will be needed this summer to construct rock waterbars and install rock steps on the damaged portion of the Burnt Mountain Trail. 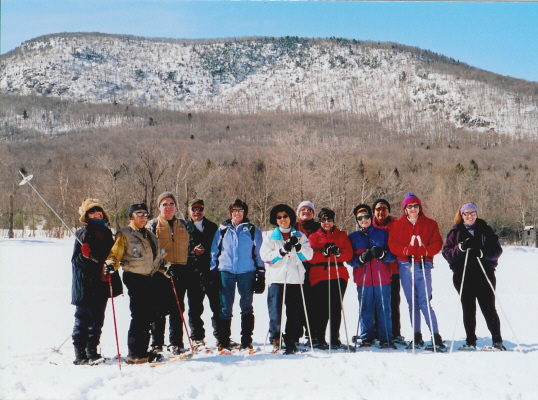 Starting in February 2005 the Hazen‘s Notch Association began sending a monthly E-Newsletter to all members and friends who have provided their e-mail address to the HNA. This not only saves the HNA the cost of printing and mailing newsletters, it allows us to communicate with you on a more frequent basis and to notify you of special events that are scheduled after printed newsletters are mailed. You’ll hear from us usually once a month. Our “Zone Alarm Firewall” and “blind recipient” features ensure your privacy. Join the HNA E-Newsletter mailing list. Send us your email address and put the words “HNA E-News – add me to your mailing list" in the subject line. The HNA has bluebird nestboxes for sale that are available in several styles. They include the Audubon, Petersen, and Bauhaus models. Patrick Farmer and Lutz Saborowski have crafted these sturdy bluebird nestboxes to insure that they will last for many years. As bluebirds will try for 2 broods each year, it is not too late even in May to put out boxes. Prices range from $15 for the basic model to $25 for the deluxe model. Harvey and Lisa Chaffee had an excellent crop of maple syrup in 2005. Throughout the year the HNA sells the Chaffee‘s syrup at the HNA Welcome Center. You can purchase Fancy, Grade A Medium and Grade A Dark maple syrup in half gallons, quarts, pints and half pints. We can also ship the syrup through the mail and will include a special card if you are purchasing this as a gift for someone. Contact us for prices and shipping rates. In addition there are many nature notecards of Montgomery scenes featuring Rolf Anderson’s photographs as well as numerous nature & trail guidebooks for sale. All profits from the sale of bird houses, maple syrup and notecards support the maintenance of the HNA trails. The Welcome Center is not staffed on a regular basis in the Spring, Summer and Fall. 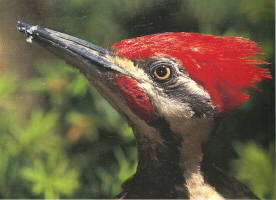 If your plans to visit the Hazen‘s Notch area include a stop at the HNA Welcome Center for information, to purchase nature guidebooks, notecards, bird houses, maple syrup or other products, please call ahead so that we can be sure to meet you when you arrive. You can always find information on our website. Send us an email anytime and we‘ll reply as soon as possible. We had many new visitors who discovered our winter trails through the internet and the HNA website. The generally smaller snowfalls that came midweek this year made it easier for us to provide well groomed trails most of the time. School groups that came all had good weather. A wonderful group of people raced in the Ted Means Memorial in great conditions. We even managed to lead snowshoe climbs up Burnt Mountain on two trails – the Burnt Mountain Trail and the Bear Den Trail. On March 31st three HNA members climbed Haystack Mountain from the Bear Den Trail. The HNA trails opened on December 18th. Conditions remained very good with 100% of our trails open on the morning of April 1. The rains of that weekend substantially diminished our snow cover. Our last skiers enjoyed some trails on April 5. A snowshoer climbed Burnt Mountain on April 6 and again on April 10, scouting the relocation of the summit trail. With no deep freeze, no big storms and most importantly for cross country skiing – no mid-winter thaws, this was a relatively mild and gentle winter. 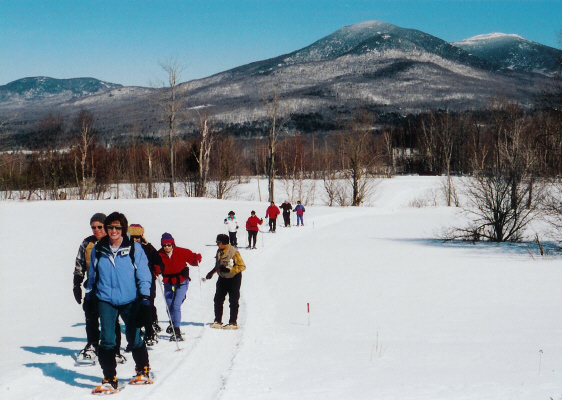 Our cooperating landowners deserve our thanks for graciously allowing the public to use the Hazen’s Notch Association trails that cross their properties. Please be sure to tell our landowners in the Hazen’s Notch area how much you appreciate their generosity when you see them during the year. We are proud of the good relations that we maintain with our neighbors and thank them for sharing our commitment to the stewardship of our area’s natural resources. The Board met in December to review the previous year’s activities and make plans for Winter 2005. 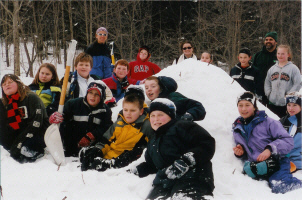 It was noted that the Campership Fund raised $4,460 in 2004, the most ever raised. Membership contributions exceeded $6,000. Board members voted to raise the cost of a daily trail pass to $12 to help cover the increased costs of winter trail maintenance. They approved a proposal to relocate the East Meadow Trail across the Van Der Weyden property. At their February meeting the Board authorized replacing the old ski rental equipment and other trail improvements. Board members were enthusiastic about creating a monthly electronic newsletter to be sent out via email. Support was given to raising the amount requested from several towns for the Campership Fund. The agenda for the next meeting will focus on reviewing our conservation strategy. Vermont Nature News is an exciting new area on the HNA website. Rolf Anderson and Debbie Benjamin assembled these pages that describe the flora and fauna of our area. The Vermont Nature News “home page” has a summary of current happenings in nature. Links lead to specific pages for information on Amphibians, Birds, Mammals, Plants, Nature Almanac, Weather Observations, Wildlife Sightings, Places to Visit, and Equipment for Observing Wildlife. Our plan is to create 4-6 species-specific pages every month. New pages will replace old pages on a continual basis. Visitors to the website will be able to access information from “past articles” on an “Archives” page. 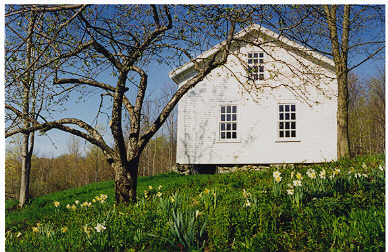 We hope that this new feature of the HNA website will be useful to anyone interested in the “Nature of Vermont“. Copyright 2001-2006 Hazen's Notch Association for the Environment, Inc. All Rights Reserved.